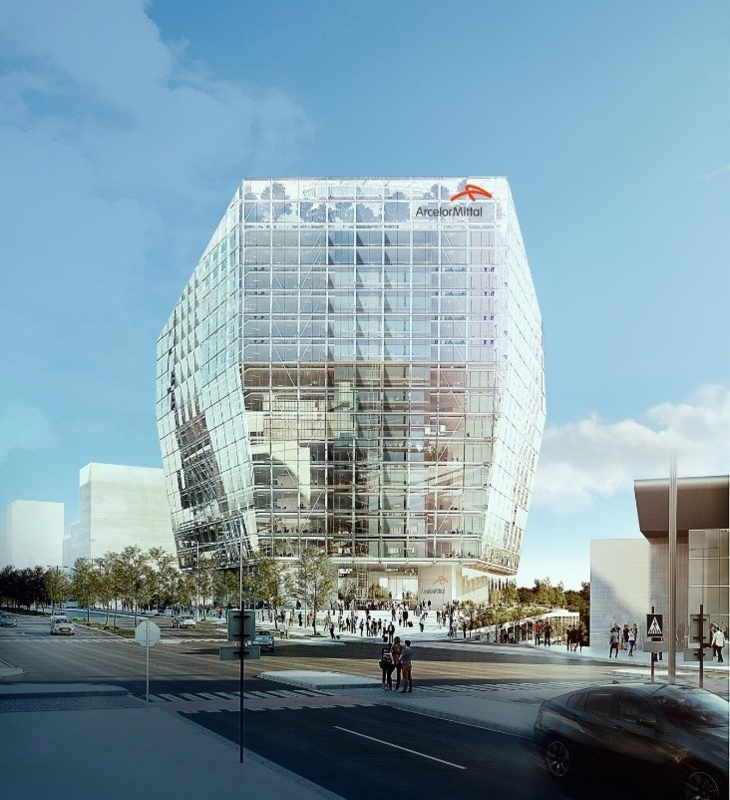 ArcelorMittal and the “Fonds d’Urbanisation et d’Aménagement du Plateau de Kirchberg,” (“the Fonds Kirchberg”) have today announced that the architectural practice, Wilmotte & Associés Architectes, (“W&A”)is the winner of the architectural consultation to design ArcelorMittal’s new global headquarters building in Luxembourg. 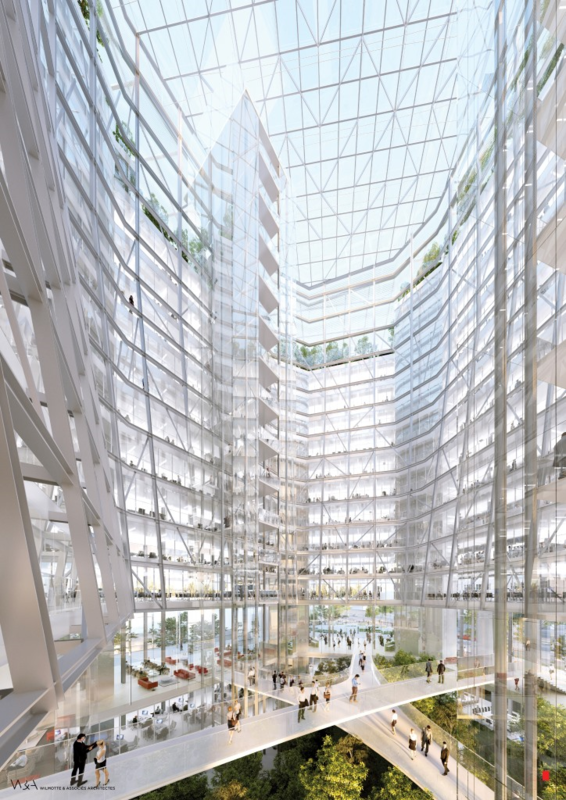 The ambitious winning design - which was unveiled in Kirchberg, Luxembourg today - is primarily steel and glass, and will showcase the diverse benefits of steel over other building materials* in addition to highlighting the use of steel in ‘green’, sustainable construction. As well as being ArcelorMittal’s headquarters, housing around 800 employees, some of the space will be leased for other uses. There will also be a restaurant, sports facility and a 200-seat auditorium available to the public. The W&A design also responds to ArcelorMittal’s desire to have a sustainable building that promotes steel’s contribution to the circular economy. The building follows the “cradle-to-cradle” concept, meaning that it can be dismantled and nearly all the steel products re-used in a new building without the need for recycling. The building is also a low-carbon, energy-efficient building and will be “BREEAM outstanding,” “DGNB Gold,” and “BBCA” certified. Environmental credentials include solar power generation – featuring 4000 square metres of ArcelorMIttal steel photo voltaic cells on the roof - rain water management, and automatic window opening for natural ventilation. It also features a bioclimatic public atrium, ventilated by a Canadian well system, which naturally cools the air in summer and heats it in winter. The atrium is designed to evoke the Luxembourg countryside and will feature trees and plants in a woodland style that will bring additional environmental benefits, acting as a buffer for the temperature. Further green space will be created by setting the building back from the limit of the plot, creating new outdoor public spaces. The building will also be certified by a Gold level “WELL” label.